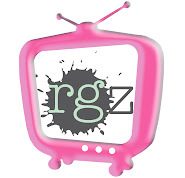 rgz press release: Melissa Walker Returns to rgz! The author of August’s featured novel returns… this time, as a rgz diva. October 31, 2008 (Seattle, Wash.) – readergirlz (rgz) proudly welcomes Melissa Walker as its newest diva. Melissa, whose novel Violet in Private was featured in the rgz forum in August, was all the rage with participating teen readers. Now Melissa’s countless fans and readergirlz everywhere will hear more from the author as she officially joins rgz with a focus on blogging. Melissa is the author of the popular and award-winning Violet series (Violet on the Runway, Violet by Design, and Violet in Private) about an unlikely supermodel navigating the ups and downs of the fashion world. Violet on the Runway was a New York Public Library Book for the Teen Age, and was hailed by National Public Radio as a book for teens who hate to read. Her next book, Lovestruck Summer, comes out in May 2009. Melissa lives in Brooklyn and has a BA in English from Vassar College. She has worked as ELLEgirl Features Editor and Seventeen Prom Editor. Visit her blog at www.melissacwalker.com. readergirlz is the foremost online book community for teen girls, led by six critically acclaimed YA authors—Dia Calhoun (Avielle of Rhia), Holly Cupala (A Light That Never Goes Out) Lorie Ann Grover (On Pointe), Justina Chen Headley (Girl Overboard), Mitali Perkins (First Daughter: White House Rules), and Melissa Walker (the Violet series). readergirlz is the recipient of a 2007 James Patterson PageTurner Award. Since March 2007, readgirlz has been blogging at MySpace. As our amazing book community expands, the divas thought it best to establish our blog where all can access it. Many thanks to co-founder of rgz, Janet Lee Carey, our first blogging diva in 2007. Then to Dia Calhoun who continued the posts through 2008 and now is moving on to be our author liaison diva. We are happy to welcome Melissa Walker as our new blogging diva on the first of November! Melissa will be bringing the majority of our posts, while the other divas drop blogs throughout the week as well. You'll get updates from diva Justina Chen Headley in China. Divas Holly Cupala, Dia Calhoun, and Lorie Ann Grover will add their words from the Seattle area. And Mitali Perkins in Boston will move from diva to rgz Talent Scout on January 1 to keep us all up on the hottest novels off the press. A press release is forthcoming!